The picture above is of Arne Duncan and Eli Broad having a swell time at Barack Obama's inauguration party in 2008. The picture below is Arne and Eli in 2013, this time accompanied by the poster boy for CorpEd's model of segregated urban reform schools, Terry Grier. With his systemwide No Excuses model in place in Houston, Grier has made life so miserable for teachers and students alike that it has earned him this year's Broad Prize for Urban Education. Last year 700 teachers had quit by January, which, of course, brings in more white corporate missionaries from TFA to replace real teachers. These new positive psychology-induced Corp Members will fall on their clipboards for the Corporate Cause until they are discarded for a new crop. The letter excerpted below was posted by Diane Ravitch at her blog in June. It is from a Houston teacher who has witnessed what is happening to teachers and children in Houston's public schools.
. . . .This letter is about a teacher awakening to the grim political reality of what is deceptively called “education reform.” Her letter should go viral. “This is the sick process education reform has created in big city districts. They just churn through teachers, especially new ones, as fast as they can with no regard to the person’s life, skill set, or qualifications. The harm they do to the students by destabilizing their neighborhood schools cannot be measured. They don’t care if you are a blazing success in the classroom; your teaching certificate is basically meaningless to the administration. ” In the student’s mind, a standard classroom teacher is a disposable throwaway. They see no reason to follow the rules, do their homework, or take the exams seriously. They know the teacher will probably get fired, possibly in the middle of the year. They have no respect for their teacher, and no reason to believe their teacher has any ability to discipline or instruct. “This is the message inner city students have been receiving for over a decade. This is the message reformers convey to the students, the parents, and the taxpayer. “At new teacher orientation you are led to believe something much different; at the job fair, and in the media, you are told that working for HISD is wonderful, with a fair evaluation system, great pay, and fabulous bonuses. 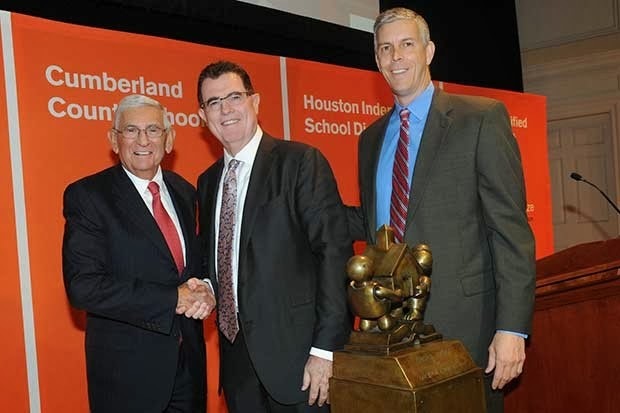 “Working at HISD is the biggest mistake I have ever made. “I was warned about education reform. I was told not to do this, and I didn’t listen. “Honestly, I didn’t even know what “education reform” meant…I thought it was a bunch of talented people swapping ideas about how to best educate the children of poverty. I thought it would be fun, challenging, and engaging. In my ridiculous mind, I could see a group of teachers sharing ideas, lesson plans, and stories. I really believed I was going to learn something positive about public school. I didn’t know it was a scam engineered to deprofessionalize the teaching business, and hand the jobs off to cash strapped ivy leaguers that couldn’t find positions in their fields of study. “As for me, I don’t need a study; I can tell everyone about the chaos, the achievement gap, the poverty, the filth, the lies, and the smokescreen.